Finding the perfect bridesmaid dress that matches your vision, works with your budget and flatters everyone in your bridal party can be a frustrating endeavor. Why have the hassle of wading through bridesmaid dress after bridesmaid dress when you can get exactly what you want custom made for you? From the style to the color, cut, detailing and every other aspect, you can perfectly design your very own, one of a kind bridesmaid dress. There is never any consultation fee for customized dresses. 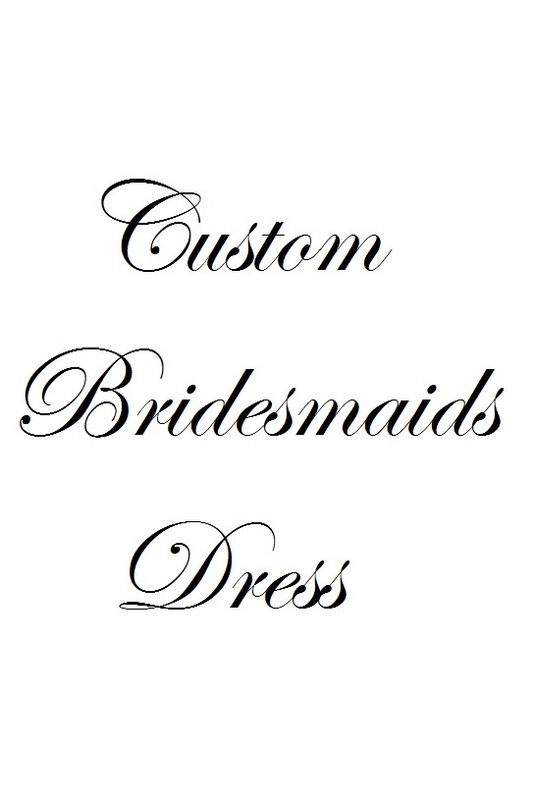 So drop us a line and start creating your picture perfect bridesmaids dress today!